It’s finished! My 2nd of 3 mini capsules to complete my entire F/W capsule wardrobe was completed using patterns from the Mimi G for Simplicity line. I used 5 patterns to create 7 different garments. You can read more about the suit, jeans, faux jumpsuit, turtleneck and cardigan here. 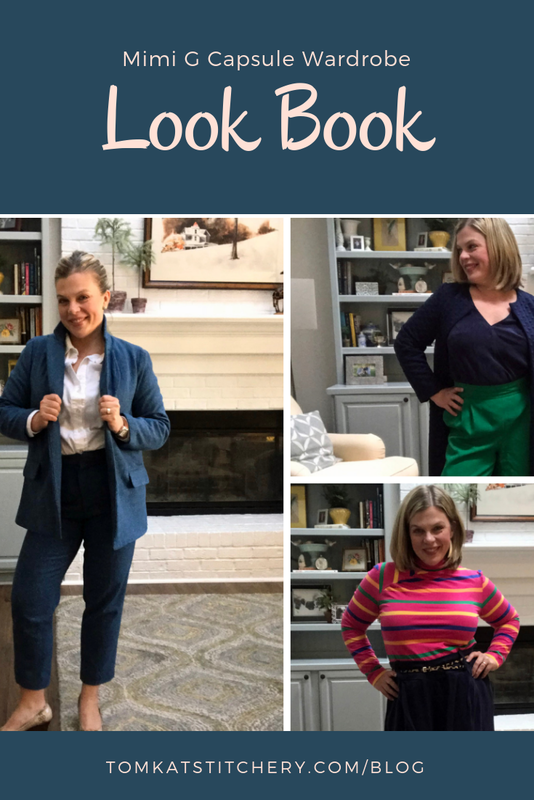 Each of these 7 garments was created to coordinate with the 1st mini capsule that was made using the Sew Over It ebook, Work to Weekend patterns and can be read about here. In this post, I will be showing you the final garments paired together and with the Sew Over It pieces! This post is going to be very picture heavy and short on narrative. Enjoy the pictures and be sure and check out the video below for everything in motion! Until next time and the final capsule!